8-inch Full HD touchscreen Brilliant display Colors pop with lifelike precision on the Full HD touchscreen, and IPS technology delivers ultra-wide angles for viewing comfort. 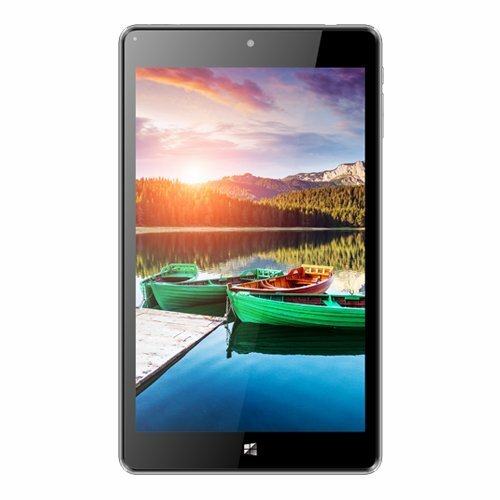 First-rate performance This tablet comes with an Intel Atom x5-Z8300 processor, 2GB of memory, and 32GB of storage for fast, power-efficient computing. Make the connection Micro HDMI allows big-screen viewing, Micro USB charges and connects devices, and Micro SD enables expanded storage. The best Windows yet Windows 10 delivers faster start-ups, a familiar yet expanded Start menu, and new ways to get stuff done across multiple devices. A Nu kind of tablet Stay productive and entertained wherever you go with the 8-inch NuVision tablet. It's powered for work with an Intel Atom x5 processor, 2GB of memory, and 32GB of storage. And when it's time to kick back with some entertainment, the Full HD IPS touchscreen ensures razor-sharp views from every angle. If you have any questions about this product by NUVISION, contact us by completing and submitting the form below. If you are looking for a specif part number, please include it with your message.